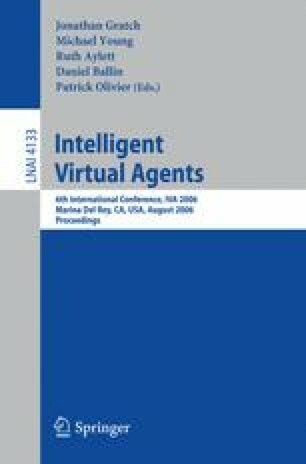 In an experimental setting, we investigated whether body shape similarity between user and interface character affected involvement with, distance towards, as well as intentions to use the character in an e-health context. Users interacted with an interface character with the same (similar) or with a different (dissimilar) body shape as their own. Furthermore, the character’s body shape was negatively valenced (heavier than ideal) or positively valenced (same as ideal). In contrast to what one might expect from stereotype research, users perceived non-ideal (fatter) characters as more credible and trustworthy than ideal (slim) characters. Especially users similar in body shape to a non-ideal character felt the least distant towards fatter characters. These users also preferred to use relatively fat characters over slim characters. Considering the increasing amount of overweight people in society, it seems most effective to design interface characters with bodies fatter than in current e-health applications, which often feature slim characters.